This suite is located on the ground floor of the building. 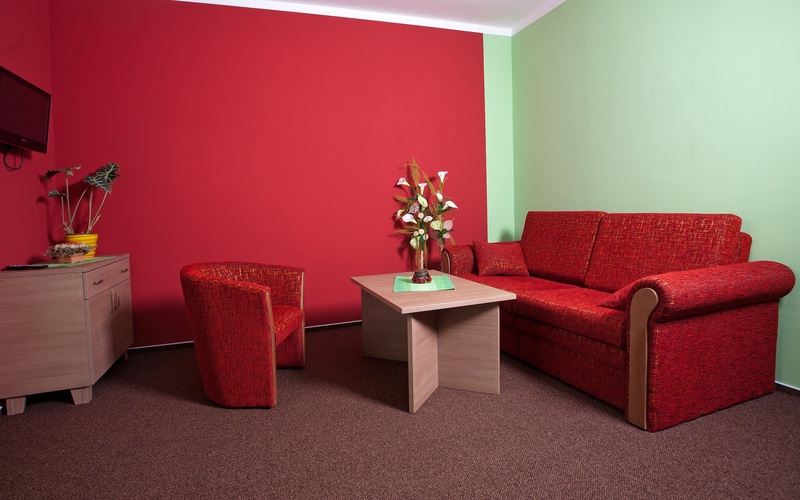 It has unassisted wheelchair access with spacious living room and bedroom with two single beds. Folding sofa in the living room can provide additional sleeping place. Windows are oriented to the East with a view to the near-by ski slope.